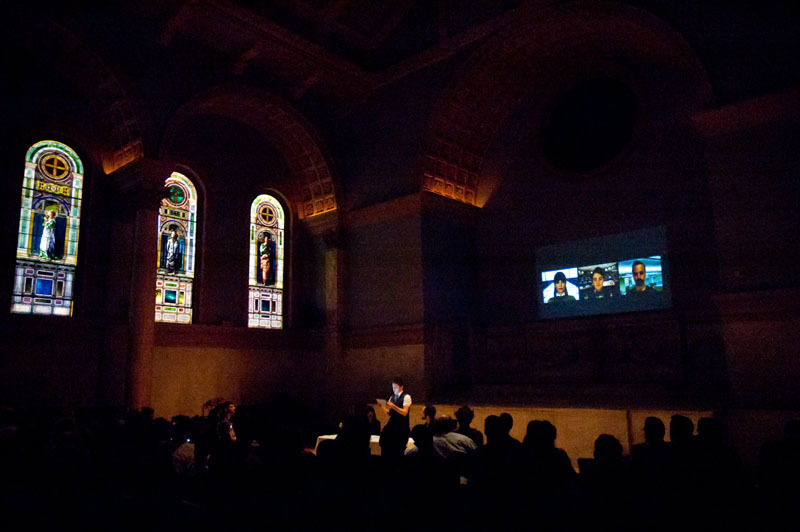 NYPAC is pleased to announce User Agent, a program of performances at Judson Memorial Church on March 29th, 2015. Curated by Rachel Valinsky, User Agent presents four works that interrogate our relationship to devices, software, and technological apparatuses, often complicating our perception of these systems' cognitive faculties and capacity for agency. Derived from computing, the term "user agent" refers to software that acts on behalf of a user. In other words, the software is a performer, enacting a functional, operational task. Through a sustained engagement with the language and codes of these technologies, the pieces in User Agent blur the boundaries of user and agent, subject and object, agency and automation, and propose new ways we might consider the technologies that shape communication, movement, and speech. Tyler Coburn's NaturallySpeaking is an experimental essay performed live for the first time by Susan Bennett, the original voice of Siri, Apple’s speech recognition software. The essay retells famous stories of the births and afterlives of the voice: from Edison’s attempt to make his phonograph a device through which every sound in the history of the world again might be heard, to the robotic dogs and chatbots of early AI, and the scene in Rabelais’s Gargantua and Pantagruel, when the warming air thaws the frozen sounds of a past battle. As Bennett reads, a projected screensaver tracks the melting of an ice sculpture of Pantagruel’s ship. In Ian Hatcher’s DronePilot v0.2, a seemingly endless flow of software-driven text flickers and streams rapidly across a screen, expanding and contracting from the smallest word particle to a multi-word column. 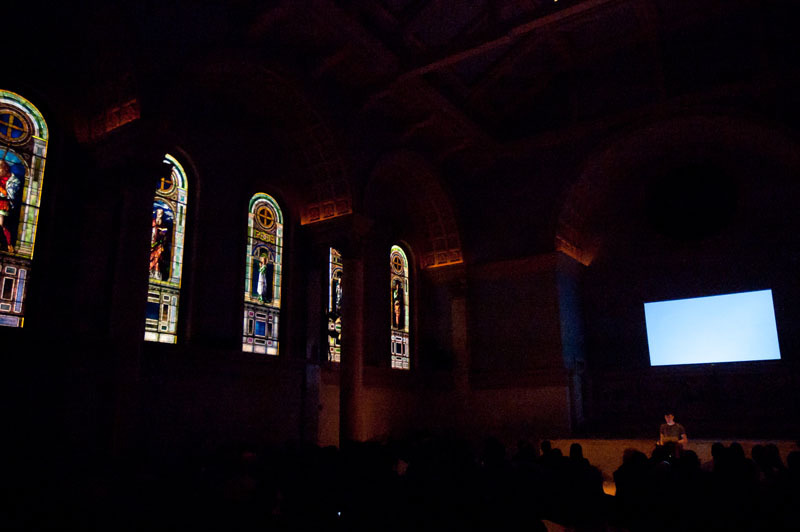 Hatcher performs at astonishing speed a reading of this text, even as it is occasionally interrupted — silenced — when the screen goes dark. Lanny Jordan Jackson will present a new work titled Young Blood (2015): an elliptical and provisional monologue via microphone and projector, helmet and shield, assessing the remains of a failed film project. 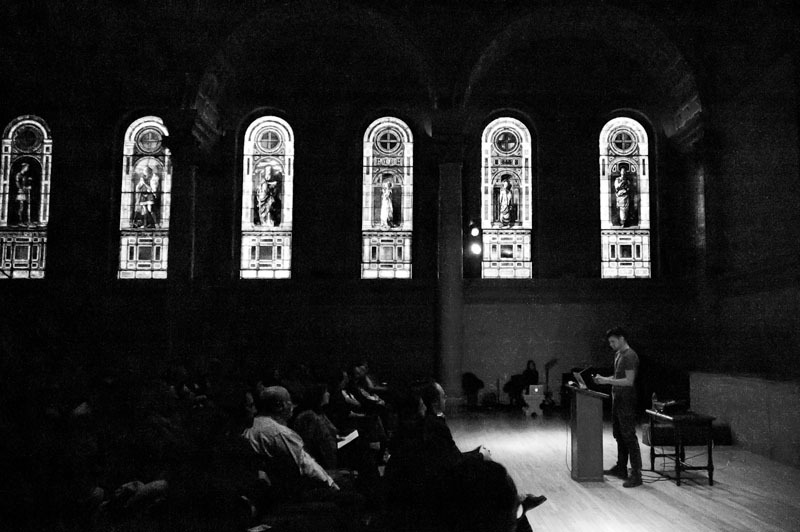 In the performance-lecture Systems Say What Words Cannot, the three members of Research Service (Avi Alpert, Mashinka Firunts, and Danny Snelson) each deliver a brief statement on the relationship between automation and embodiment. 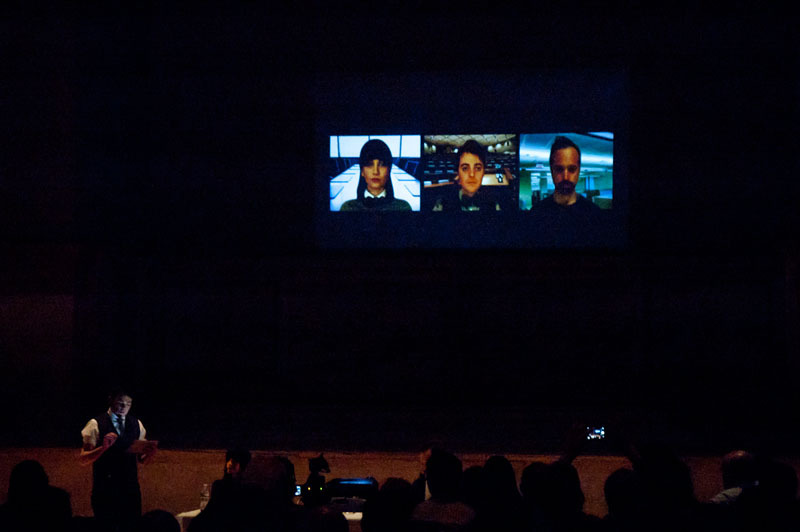 Three virtual avatars choreograph their movements as they speak. Their instructions lead to variations on each lecture. This event commemorates the passing of Eugene Goostman. Special thanks to Susan Bennett, Zachary Mosely, Micah Bucey, Judson Memorial Church, Ryan Mueller, Ruth Somalo, Bart van der Heide, Saim Demircan, Robin Peckham, Karen Archey, Omar Kholeif, Rick Hinkle, Matt Nasser, La MaMa, Chris Wegman, and Ben Rodriguez-Cubeñas. NaturallySpeaking is supported by a Foundation for Contemporary Arts Emergency Grant.